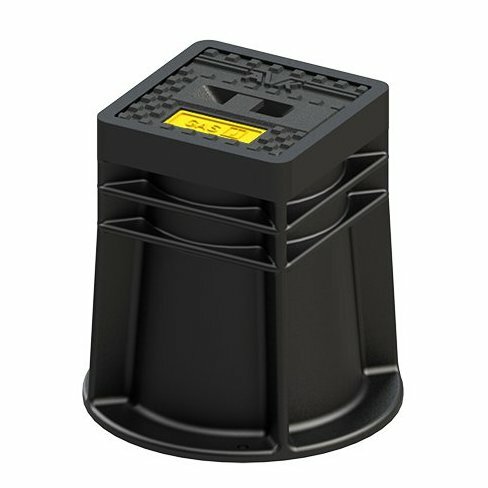 Fixed height polyethylene surface box for underground valves. Cast iron lid with standard yellow inscription plate "GAS". Other colours and lid inscriptions possible.